The series of records made by Command Records over half a century ago still resonate with audiophiles today, and are much sought-after by connoisseurs of mid-century modern design for their striking covers. This was all due to the collaboration between two individuals, Josef Albers and Enoch Light. Both men — one an influential teacher and artist, the other a stereo-recording pioneer — driven by strong convictions and passion for their respective crafts. Enoch Light in 1967. From an article in Billboard magazine. Enoch Henry Light, son of Russian immigrants, trained as a classical violinist but was quickly drawn into the world of society orchestras, which played versions of popular hit songs at social functions and light dances. He formed his own band, “Enoch Light and The Light Brigade”, and acted as its bandleader. Their sound was fairly conservative and aimed towards the middle-aged dancers. 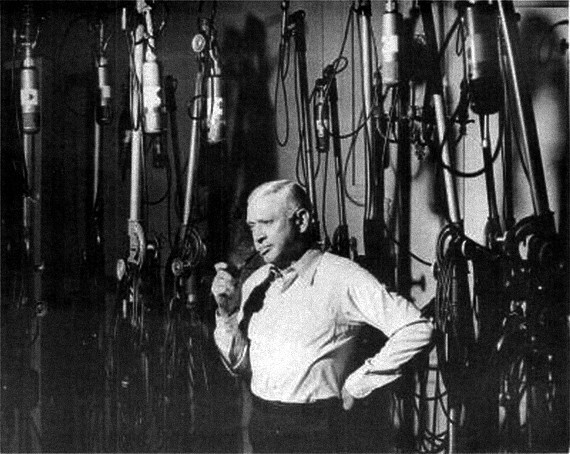 During the 1930s they mostly played in theaters and on the radio, and even made a series of recordings where Light acted as the recording engineer. Those were his first step towards an ongoing search for the best methods of recording which would translate the sound as perfectly as possible in a home hi–fi environment. By 1950 his career in music led him into management, working for several record labels, becoming president of one and eventually starting his own label, Waldorf Music Hall in 1952. The success of that label led to a formation of another one, Grand Award Records, which was notable for several successful records but not necessarily for their designs. In 1959 Light decides to concentrate his energy on the quality of recording and experimentation in the realm of stereophonic sound, which was becoming widely available for consumer use. That was the premise that led him and George Schwager to start the Command Records line under the Grand Award label in 1959. Light was interested in having the best recordings on the market, with great packaging to match. He rightly gauged that that there was a niche for a discerning consumer, an audiophile, who would be attracted to albums which would allow them to show off their home equipment. The post-war boom and the suburban expansion created a new class of consumer much more focused on a comfortable lifestyle — a world-view which Command Records neatly fit into. He went to great lengths to achieve his vision. His sessions used the best available recording studios, musicians, and equipment. He also experimented with the arrangement of musicians during recording to create interesting effects. To achieve the sound he was looking for, Light mastered the first three records 39 times until he got it right. The records came with extensive liner notes, detailing the minute details of the recording process and crediting all of the musicians involved. Each track was also annotated on the packaging, describing the way it would test the home stereo equipment. Art directors at records labels conceived of the idea for the cover, and typically hired artists, photographers or illustrators to create artwork for use on the covers. They then handled the assembly of the necessary typography with the artwork. Charles E. Murphy served as Command’s art director from its beginning in 1959, and into the late ’60s. A native of New York City, and a Korean War veteran, he studied art at Yale in the 1950s. 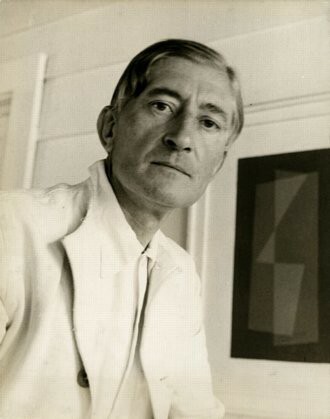 During his time at Yale he, along with countless others, studied under the legendary artist and teacher, Josef Albers. It was Albers, under the direction of Charles Murphy, who created the covers of the first two releases which became such huge sales hits. Josef Albers was one of the most important artists and teachers of the twentieth century. Born in the industrial Ruhr region, in the northwest of Germany he was initially a schoolteacher before focusing on studying art at the then newly-formed Bauhaus. This legendary teaching institution transformed art and design by focusing on the connections between artists, architects, and crafts makers. The teaching philosophy of the institution, revolutionary and radical for its time, embraced the ideas of modernism. It advocated a return to the fundamentals, to basic materials, and to the basic rules of design. After five years at Bauhaus, Albers was one of the first students to be asked to join the faculty. He was the longest-serving faculty member of Bauhaus when it was forced to close due to pressure from the Nazis in 1933. Albers was among the faculty members who decided to close the school rather than comply with the Nazi’s restrictions on production of art. 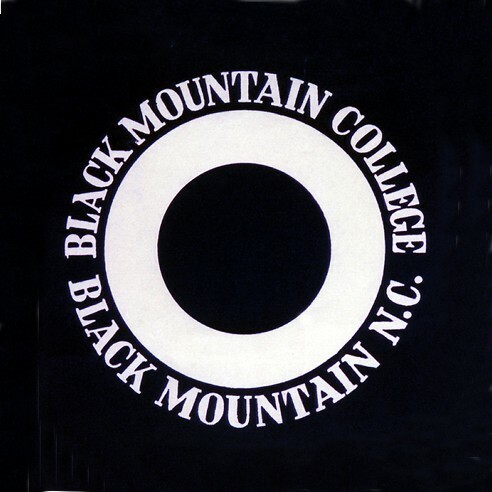 Black Mountain College logo designed by Josef Albers, 1935. Courtesy of the Black Mountain College Museum and Art Center. He left Yale in 1958 to focus on his “Homage to the Square” series of paintings, and on sculptural commissions. The artwork he did for Command represent one of only a handful of examples of Albers engaging in commercial work after Bauhaus, preferring instead to focus on teaching and painting. Charles Murphy’s role had to have been important in connecting Albers to Enoch Light. Another advocate for Albers was probably Light’s daughter Julie, who studied under him at Black Mountain College. It is also very probable that the simple visual exercises Murphy did in Albers’s class at Yale, inspired the aesthetic of the Command covers. 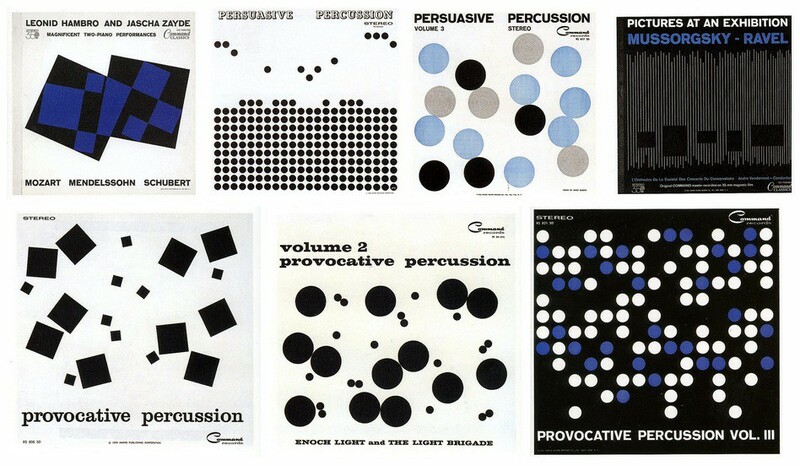 Albers designed a total of seven covers for Command over the first three years of the label. Murphy and a host of other artists and designers he subsequently art directed created the rest of the covers. All were similarly minimal and abstract, following the visual tone Albers set for the series. The concept behind Light’s approach to Command’s series of records with their emphasis placed on precision, subtlety and nuance, allowed for a far more abstract approach to the album covers. 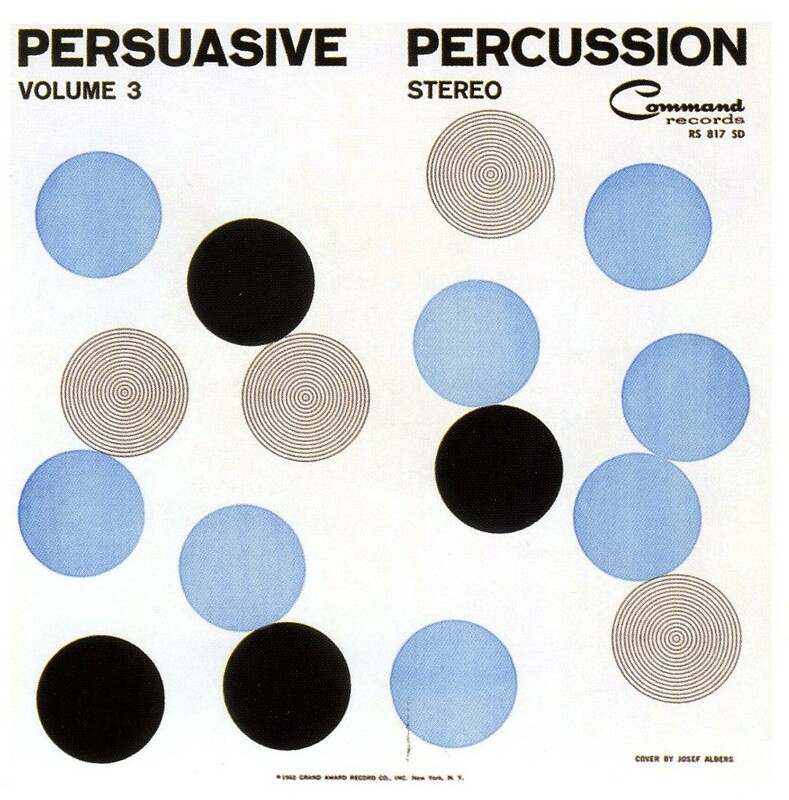 The lack of theme, or narrative in the recordings and the focus on the pure experience of the stereophonic effect gave Albers the latitude to create something so strikingly graphic and minimal. The use of squares, and of grids of dots are consistent with his modernist pursuit of the simplest and most effective means of communicating the intended subject. It also taps into his interest in exploring and visualizing interactions between objects. The designs effectively, and cleverly, reveal the idea underlying the recordings. 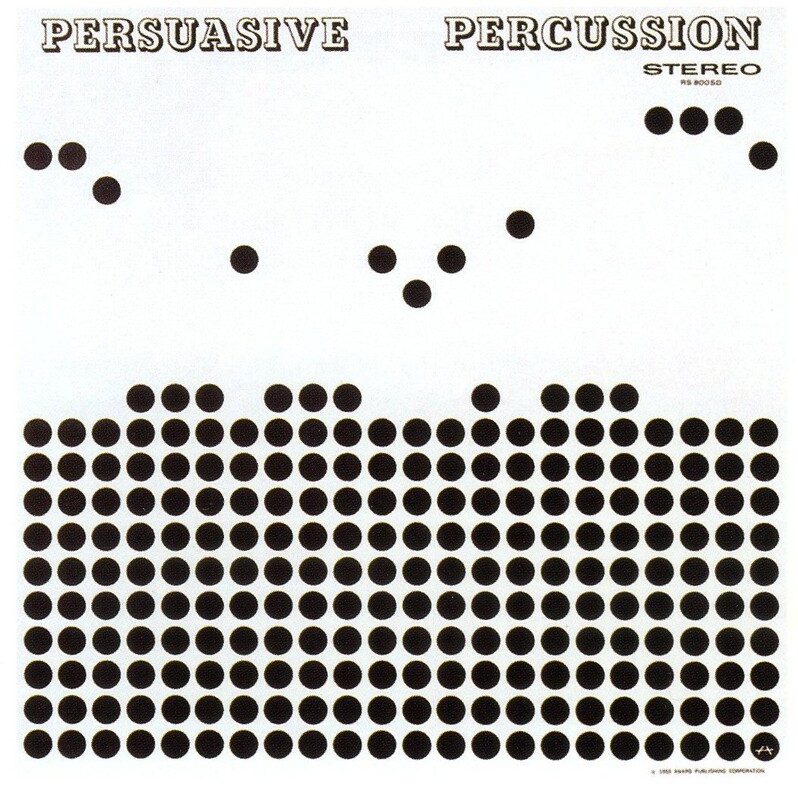 The cover for Persuasive Percussions is a good example of this. The dots break off the grid and bounce up in an elegant way that alludes to the music’s dynamic range, and references the stereophonic “bouncing” occurring in the recordings. The output by Command Records represents a nice blend of circumstances leading to a successful collaborative process. Light and Albers were kindred spirits, even if their form took on such different manifestations. The covers are a testament to the value of believing in a strong, and perhaps daring for its time, visual direction. Their design also serve as a good visual representation of the commingling of the European Modernist ideals with post-war American consumerism. The label’s music is the soundtrack of suburban America in the ’60s, and the covers are its perfect visual counterpart. This article was written specially for the Albers in Command project, which occurred on Saturday 31st Jan 2015: 2pm — 7:30pm, at the Ace Hotel in LA. An interesting aside: Enoch Light’s rendition of “Autumn Leaves”, which came out on Command Records, was sampled by RJD2 for his song “A Beautiful Mine.” That particular part of the song became the theme for the AMC hit drama Mad Men. A very appropriate choice given the television show’s focus on the shifting consumer culture and its influencers of the 1960s. And to add another layer to all this is the fact that the original version of Autumn Leaves was written by Joseph Kosma, who was related to László Moholy-Nagy, another legendary Bauhaus figure. László was a colleague of Albers at Bauhaus, and also became an influential teacher in the US. Oh and the cover of that particular Command record was designed by S. Neil Fujita, a giant of the mid-century graphic design landscape — but that is another story in and of itself. Established in 1985, The Herb Lubalin Study Center of Design and Typography was created to preserve Herb Lubalin's work. It now includes many other designers.